Kansas City Chiefs Rumors: Big Contract Extensions Coming For Patrick Mahomes, Tyreek Hill? The Kansas City Chiefs are in the midst of perhaps their best season in nearly 50 years, but they will have their work cut out for them in the offseason. Some of their best players, like wide receiver Tyreek Hill and defensive lineman Chris Jones, are eligible to get contract extensions this offseason. NFL insider Ian Rapoport reported on Sunday morning that the Chiefs will try to extend both Hill and Jones after the season is over. Each has one year left on their rookie contracts, and both players are likely to get big paydays from the Chiefs. Hill was one of the more explosive wide receivers in football last year, hauling in 87 passes for 1,479 yards and 12 touchdowns. Rapoport said Hill is likely to go from making $630,000 per year to being one of the highest paid receivers in the NFL, if the Chiefs get their way. The same goes for Jones, a young defensive lineman who had a breakout season in 2018. He recorded a sack in 11 straight games this year, finishing the season with 15.5. He, along with outside linebackers Dee Ford and Justin Houston, helped the Chiefs tie for first in the league in sacks. Jones is also still on a meager rookie contract, and in a league where getting after the quarterback is often the key to success, he will command a large salary from the Chiefs if they can extend him. Finally, Rapoport said the Chiefs would consider using the franchise tag on Ford, who is a free agent this offseason. 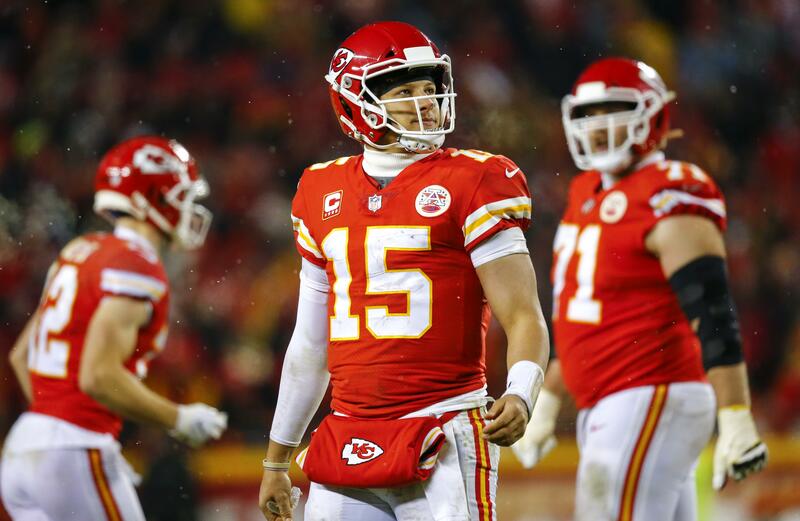 Kansas City will have a bit of salary cap room to work with this offseason, thanks to the fact that their franchise quarterback is still on a rookie contract. Presumptive league MVP Patrick Mahomes is eligible for an extension next year, and ESPN’s Adam Schefter reported on Sunday that he will get a huge new contract. According to Schefter’s report, Mahomes could get the first $200 million contract in NFL history. Mahomes shattered expectations in his first season as the Chiefs’ starting QB, passing for more than 5,000 yards and 50 touchdowns with just 12 interceptions.